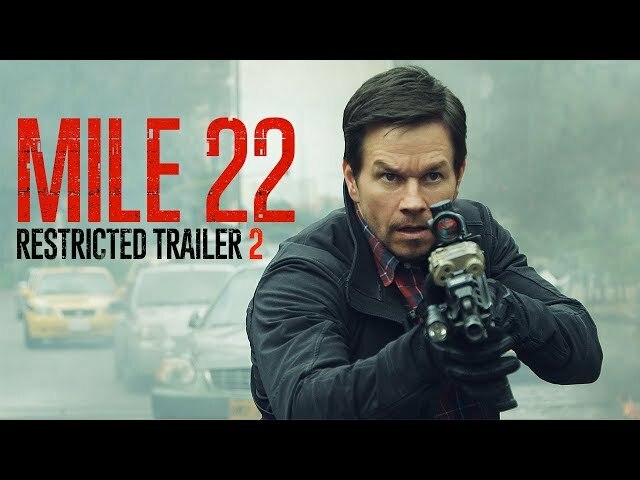 Mile 22 (film, 2018). A 2018 American espionage action thriller film with "R" rating by STX Films/STX Entertainment. Directed by Peter Berg. Official Trailer. 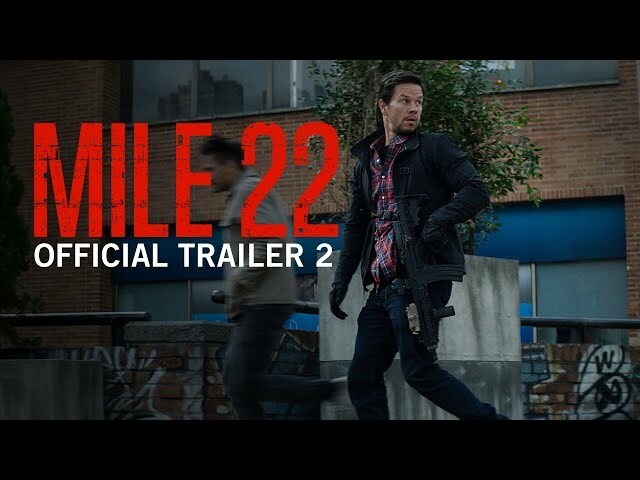 Mile 22 is a 2018 American espionage action thriller film directed by Peter Berg. 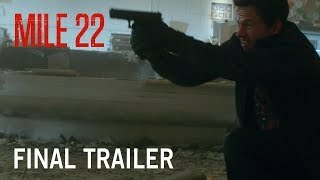 Mile 22 | Final Trailer | Own It Now on Digital HD, Blu-Ray & DVD. CIA agent and former U.S. Marine war veteran, James Silva, leads a Special Activities Division team code-named Overwatch to raid a Russian FSB safe house in the United States. Under the remote supervision of James Bishop and his team, the mission is to locate and destroy shipments of caesium before the highly radioactive substance can be weaponized. In the ensuing firefight, most of the Russians and Overwatch operative Greg Vickers are killed, but critical intelligence on the caesium is destroyed. Silva executes the last survivor, a teenager who warns him that he is making a mistake. Sixteen months later, in the Southeast Asian country of Indocarr, police officer Li Noor surrenders himself at the US Embassy to negotiate for passage out of the country in exchange for information. Noor is revealed to be the asset of Overwatch agent Alice Kerr and reveals he possesses a disc containing information on the caesium, and is able to negotiate passage out of the country in exchange for unlocking the disc, which is programmed to self destruct within eight hours. Ambassador Dorothy Brady is visited by the country's Deputy Foreign Minister and state intelligence agent Axel, with the two demanding that Noor be handed over as he is wanted for espionage. Meanwhile, Noor fends off an assassination attempt by disguised government agents in the embassy infirmary using his skills as a former member of the elite tactical squad. Wanting access to the intel, Silva's team is instructed to take Noor to an airplane at an airstrip 22 miles away, being provided with remote assistance from Bishop's team in Colombia. En route they are attacked by a group of men on motorcycles, who use a brief camera blackout to plant a bomb on one of the vehicles. During the ensuing gunfight, operative Sam Snow is mortally injured, and sacrifices herself to buy the group time. Taking cover in a restaurant, they are again attacked by Axel's men, in which Silva is saved by Noor and operative William "Dougie" Douglas is seriously injured. The group retreats into an apartment complex, and Douglas sacrifices himself by putting down cover fire. Inside the building, Alice becomes separated from Silva and Noor, but is able escape harm by using booby-trapped grenades and is later saved by Noor. Axel attempts to stop their car from reaching the airstrip, but is killed by Bishop's team via a drone strike. Arriving just before the plane takes off, Noor and Alice board the aircraft, with Alice having been given time off to see her estranged daughter. Noor provides Overwatch with the passcode to access the disk, with the intel appearing to be legitimate locations of the caesium. James Silva / "Child 1"
Alice Kerr / "Child 2"
Samantha "Sam" Snow / "Child 3"
William "Dougie" Douglas III/ "Child 4"
Greg Vickers / "Child 5"
Principal photography on the film was shot in Atlanta, Georgia in November and December 2017 under the working title Ground Branch, and in Colombia in the capital city Bogotá and its surroundings in January and February 2018. 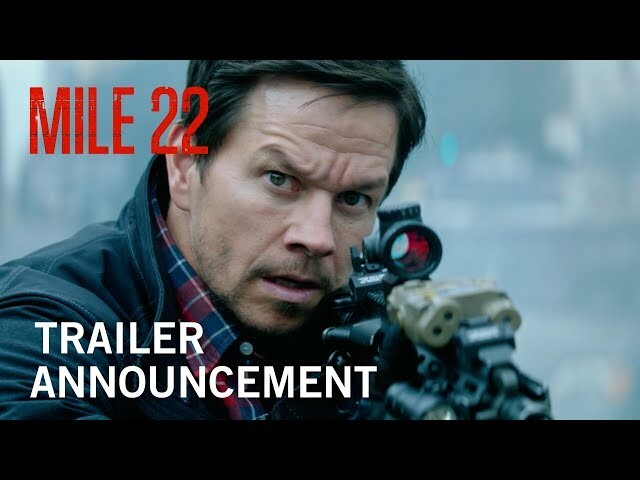 The film Mile 22 was scheduled to be released by STX Films and STX Entertainment on August 17, 2018 (United States), on September 13, 2018 (Germany) and on September 19, 2018 (United Kingdom). The duration of the film is 94 minutes. With a budget of $35 - 60 million, the film grossed over $66.3 million. 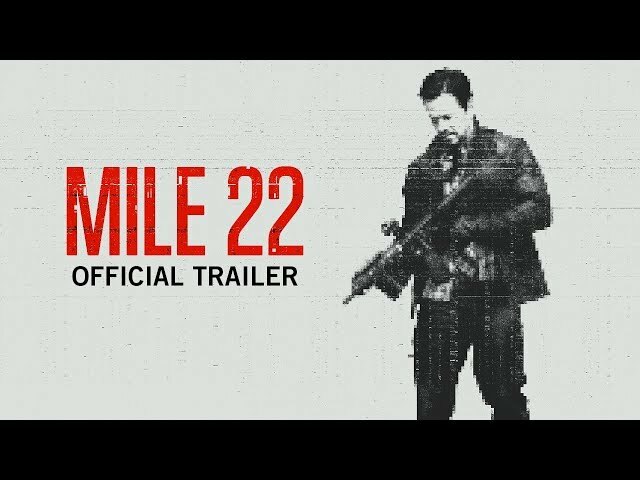 Mile 22 got low rating from critics. The audience dislikes the film either. Audiences polled by CinemaScore gave the film an average grade of "B-" on a scale ranging from A+ to F.